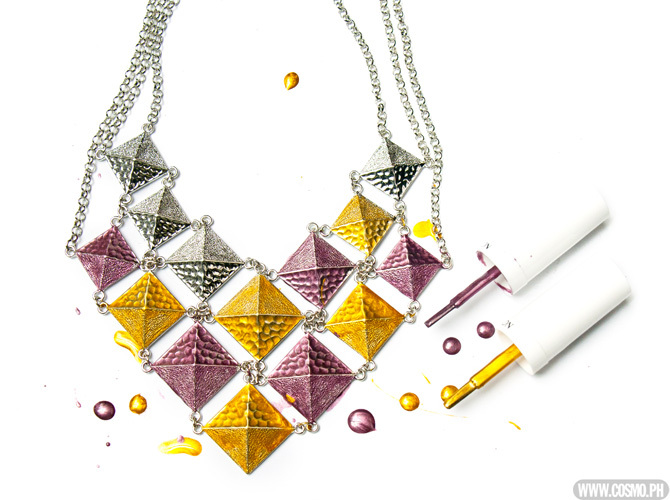 Transform your old accessories from drab to fab with nail polish! We're all about being fun and frugal here at Cosmo. 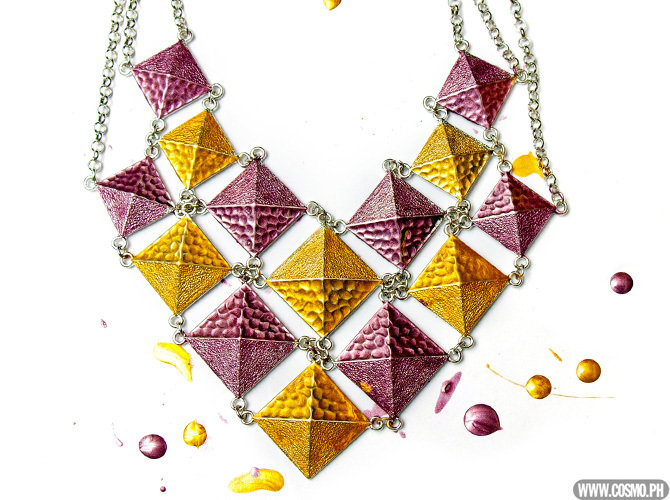 This week, we'll show you how to make a beautiful bejeweled neckpiece without spending a single peso! 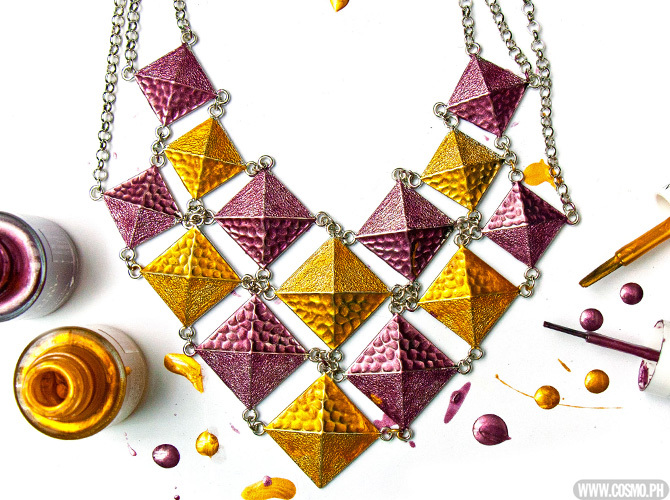 An old silver or gold necklace you can paint (we love this statement piece from SM Accessories! 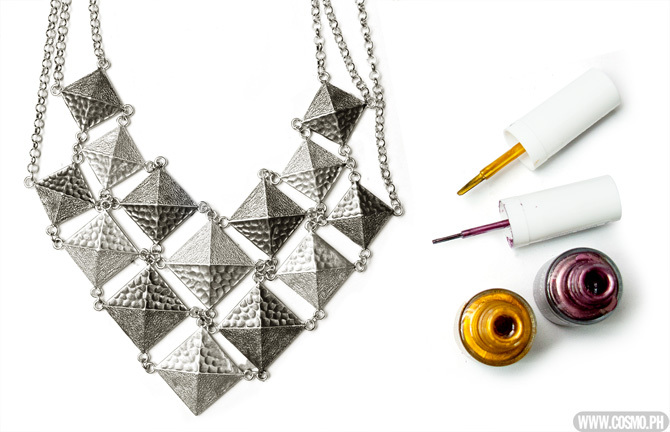 ), and your favorite nail polish shades. Isn't it pretty? We can't wait to use it!